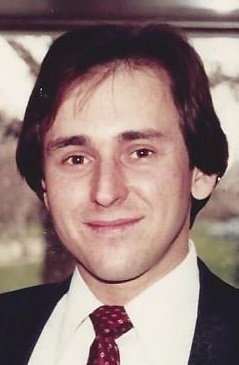 Peter Stofcik, 64 of Whiting passed away peacefully to the Lord on Wednesday, April 10, 2019 surrounded by his most cherished family. He is survived by his beloved wife of 27 years, Lori (nee Helmick); loving brother of Mary Ann (Tony) Dominiak, Kathleen (Bill) Twohig, Judy (late Dan) Hosken and Raymond Stofcik; dearest brother-in-law of Dana (David) Sobatka, Doreen Helmick, Mike (Helen) Helmick, Mark Helmick and Ken (late Cheryl) Keeler; many dear nieces and nephews; devoted feline companions, “Jasper” and “Mitsy”. He was preceded in death by his infant daughter, Elizabeth and parents, Peter and Mary (Buksar) Stofcik. A Mass of Christian Burial will be offered on Monday, April 15, 2019 at 10:00am at St. John the Baptist Catholic Church, 119th St. and Lincoln Ave., Whiting, with the Rev. Mark R. Peres, C.PP.S., officiating; cremation to follow. There was no visitation. Funeral arrangements have been entrusted to the Baran Funeral Home, 1235-119th St., Whiting. Peter Stofcik was born on November 29, 1954 and was a lifelong resident of the Whiting-Robertsdale Community. He was a graduate of Bishop Noll Institute, Class of 1973 and was a member of St. John the Baptist Catholic Church. Peter was a retiree of the BP (Amoco) Whiting Refinery with a service of 20 years. He enjoyed fishing, billiards, softball, bowling and was an avid Notre Dame and Chicago White Sox fan. Devoted to his family, Peter will be sadly missed by all who knew and loved him.